ILT's fast delivery service in inner Hanoi is accurate - professional - affordable, served 24/7 by the modern fleet of Van trucks. 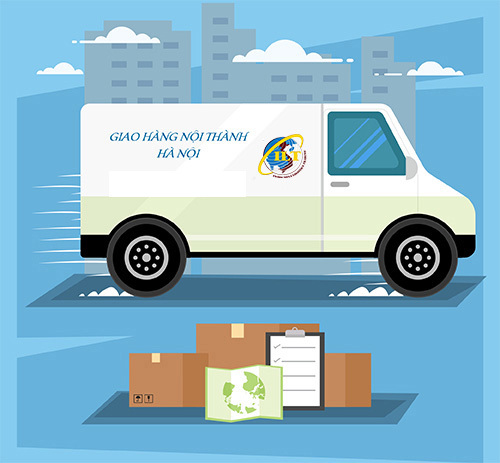 The demand of the fast delivery service has become necessary and important for e-commerce businesses, distributors of consumer goods and telecommunication products in the area of Hanoi city. In order to meet the needs of the nowadays market as well as to boost your business efficiency, ILT has launched a fast delivery service in Hanoi. Currently, we focus on enhancing the delivery market in the inner Hanoi because it is a crowded residential area, narrow streets, many streets are restricted transportation vehicles like trucks, buses or taxis. With goods that cannot be transported by motorbikes or other rudimentary vehicles, it is very difficult for people to find a fast, reliable and efficient transportation supplier. Understanding customers’ needs, as well as clearly positioning the target market, ILT has equipped a fleet of VAN trucks with a load of less than 1000 kg, which allows them to be moved in all inner districts of Hanoi. With ILT's 24/7 fast delivery service, we guarantee your goods are shipped as quickly as possible with the lowest cost in the current market. We are committed to refunding the transportation fee if our delivery is delayed more than 30 minutes compared with the agreement between two sides. ILT's mission is to bring you the best services, make all customers satisfied when using our service.